Valentina Nana Agyeiwaa, known in showbiz as Afia Schwarzenegger, has won the ‘Female Host of the year’ at the 2017 RTP Awards. Right on stage, the controversial comedienne dedicated her award to the Ex- President John Dramani Mahama to prove her loyalty to him. 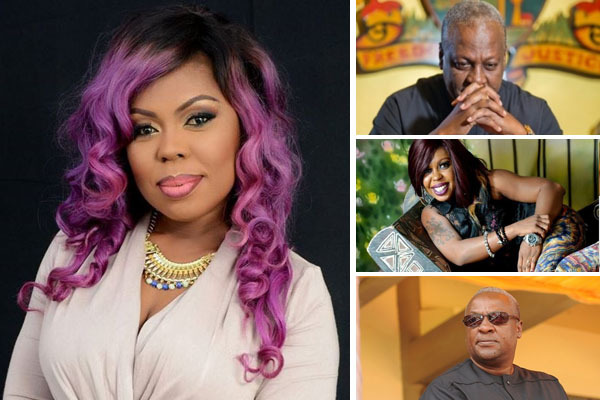 Clearly, it can be seen that, there is a tight bond between Afia Schwarzenegger and John Mahama and the two will always click. She also dedicated the award to her boss, C.E.O. of Angel TV.